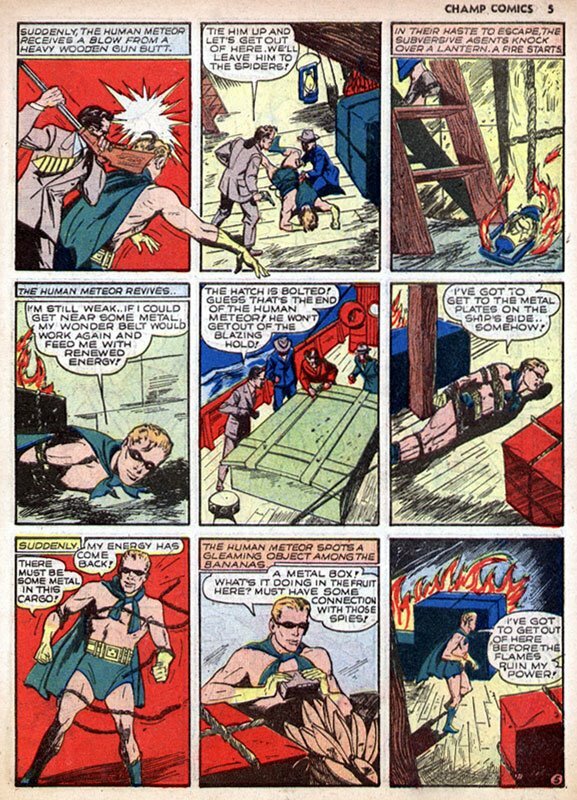 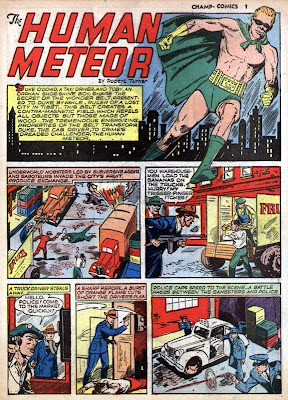 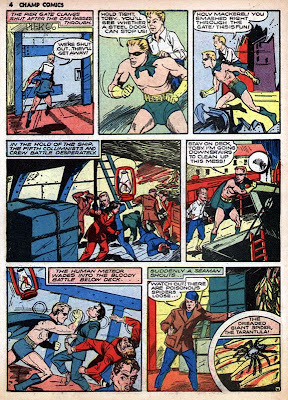 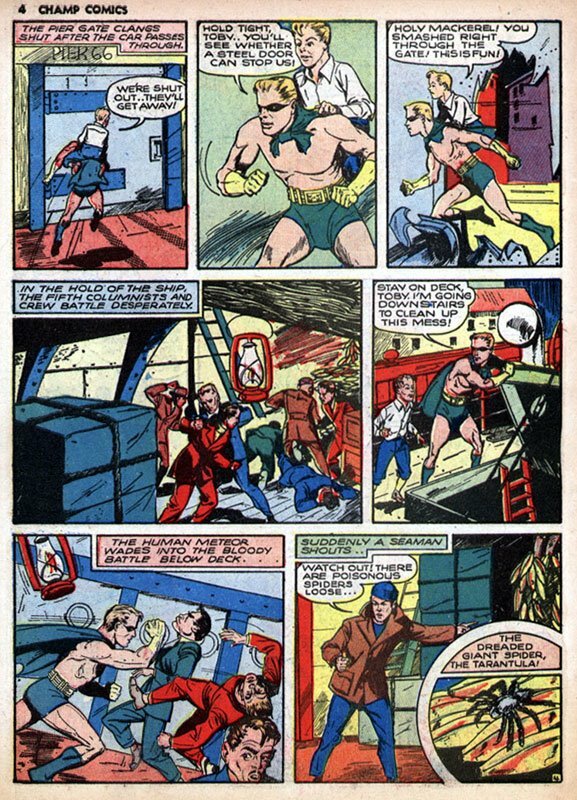 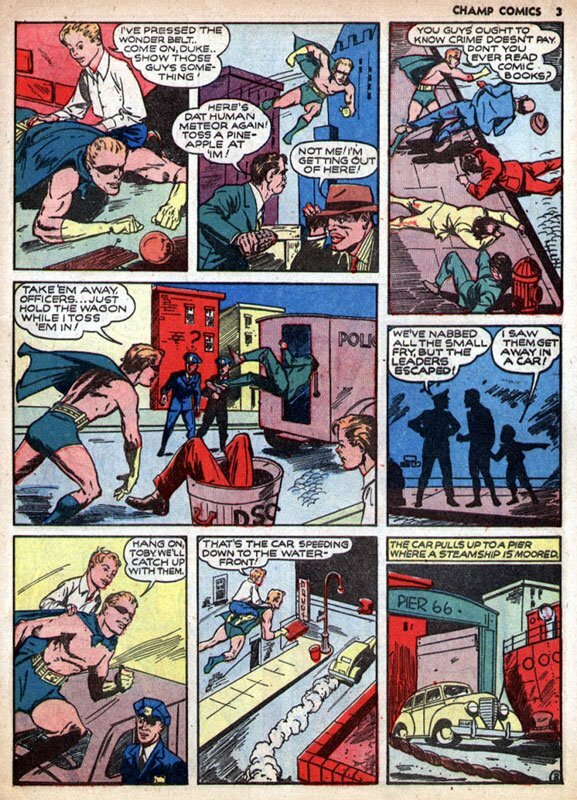 Golden Age Heroes: Duke O'Dowd -- The HUMAN METEOR! 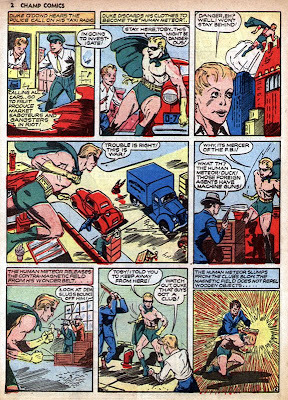 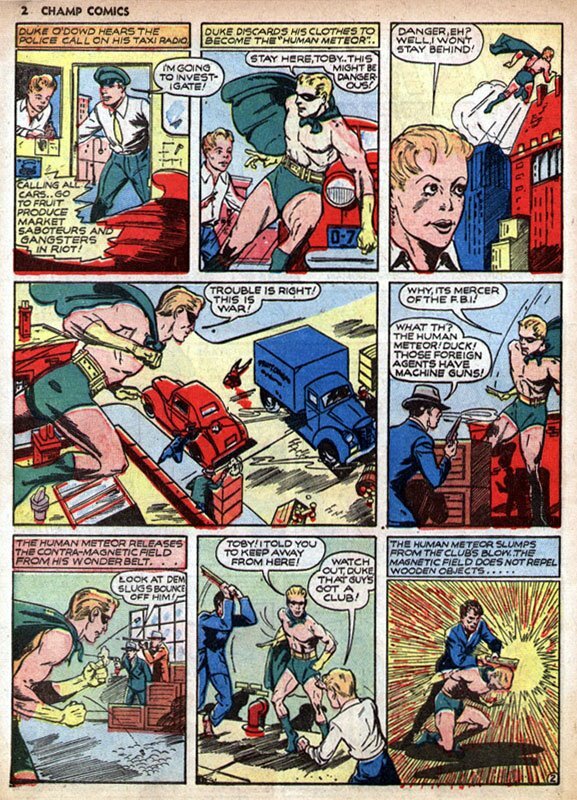 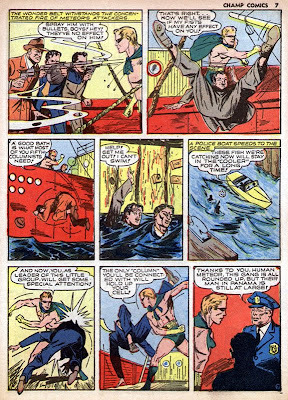 Duke O'Dowd debuted in CHAMPION COMICS #6 (April 1940) as a taxi driver. In issue #8 (June 1940), he gained possession of an ancient Wonder Belt, formerly owned by a Tibetan prince, which granted him superhuman powers. 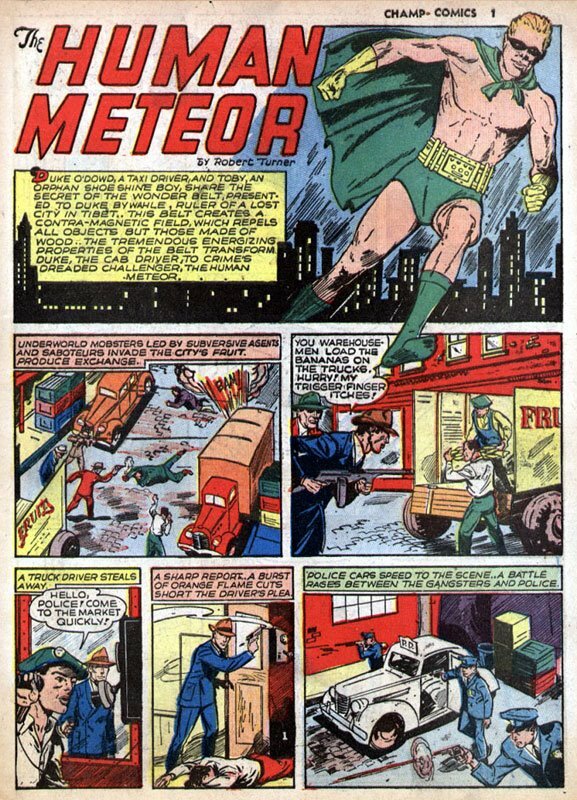 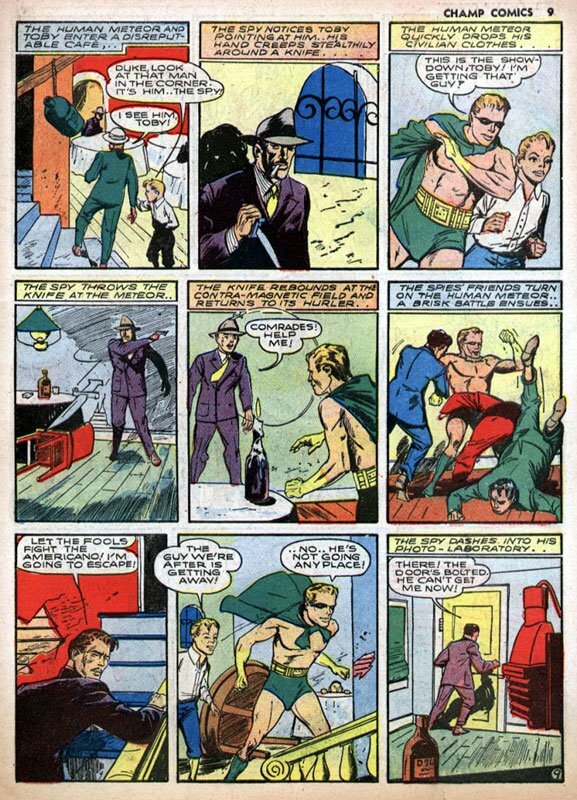 And in CHAMPION COMICS #9 (July 1940), he began his run as "...crime's dreaded challenger, the Human Meteor!" With issue #11 (October 1940), the book's title was shortened to CHAMP COMICS. 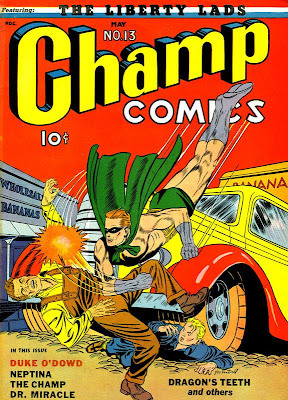 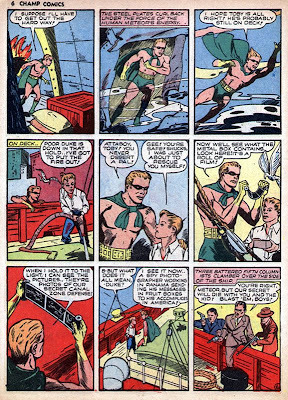 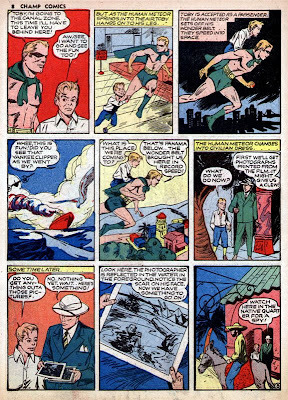 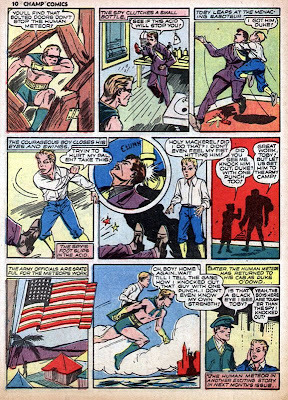 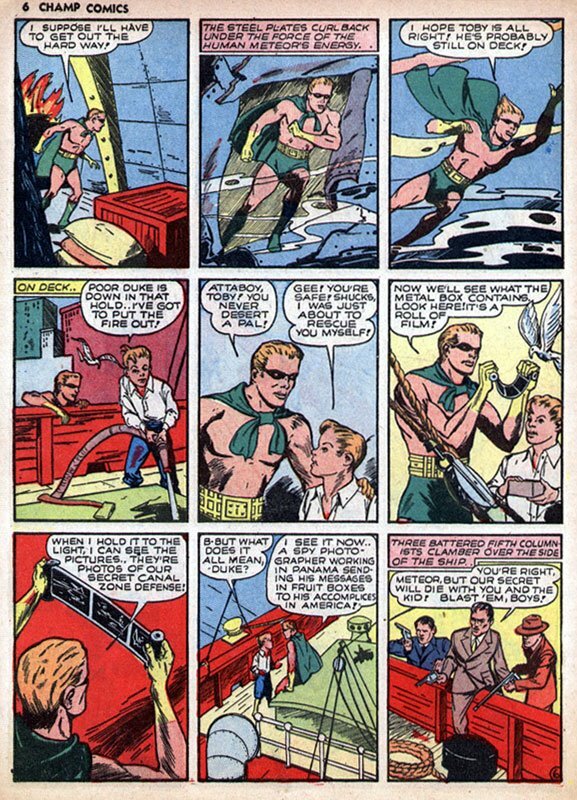 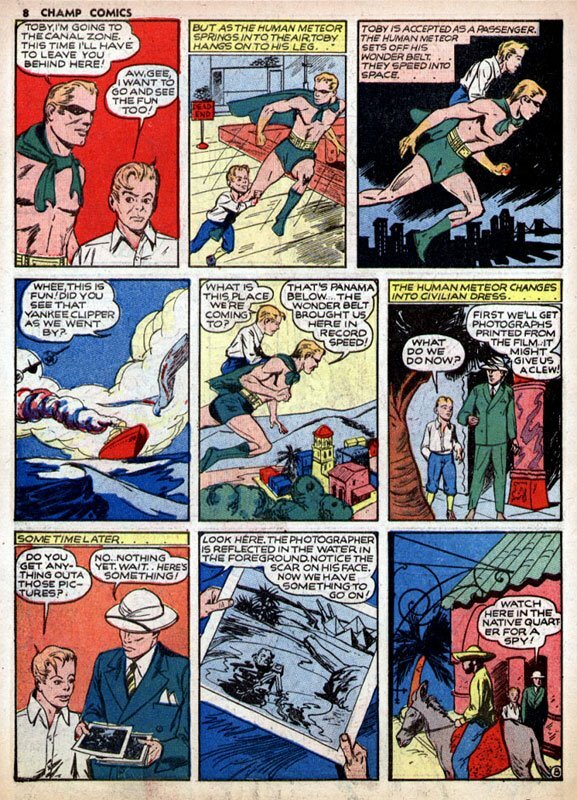 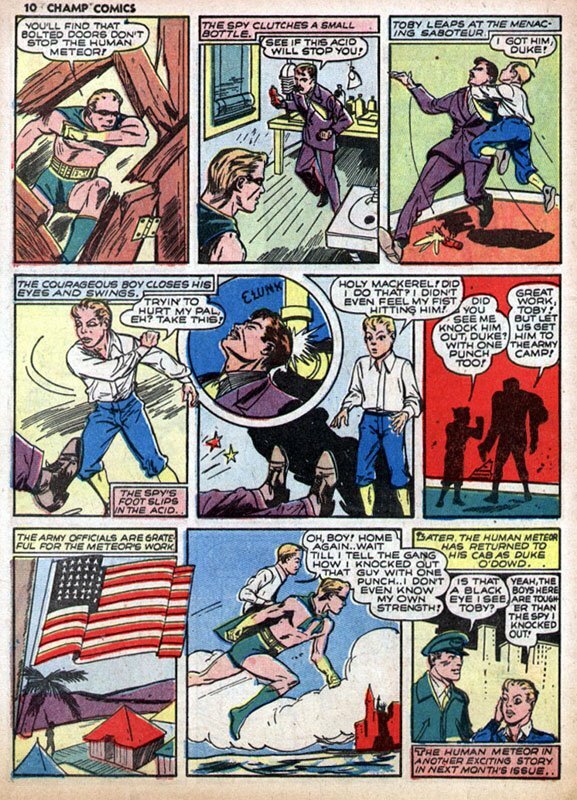 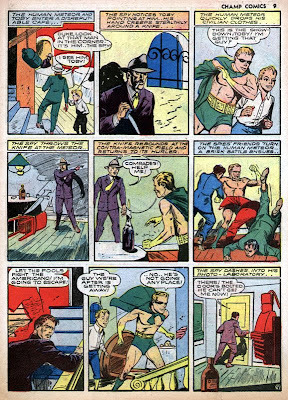 Duke's career ended in the final issue, CHAMP COMICS #25 (April 1943).